The Anti Leprosy Day reach out Programme held at Maruthamalai Leprosy Colony, Coimbatore. The Chief Guest was Dr. Muthukumar D.D.L., of Coimbatore, Mr. Mathan, Health Educator, Mr. Gopal, Non-Medical Supervisor, Mr. Anbu, Physiotherapist and Mr. Vinoth, Admin Officer, of Enbrase A Village, Maruthamalai Leprosy Colony, Coimbatore. Blankets and several other Items were also distributed among the people. Earlier, Mr. Jesudas, of NILES welcomed the gathering, Mr. Mano Ranjit Lad, Proposed the vote of thanks and Mr. Fredrick spoke on the IDF's vision and mission. 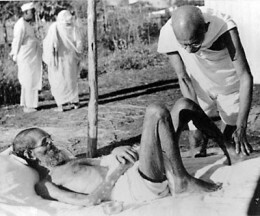 Dr. Narayan B. Iyer, CEO, Indian Development Foundation (formerly Indian Leprosy Foundation) feeding Master Samson at Sarthak Manav Kushthashram, a leprosy colony in Jaipur, Rajasthan. 30th January is observed as World Anti-Leprosy Day. 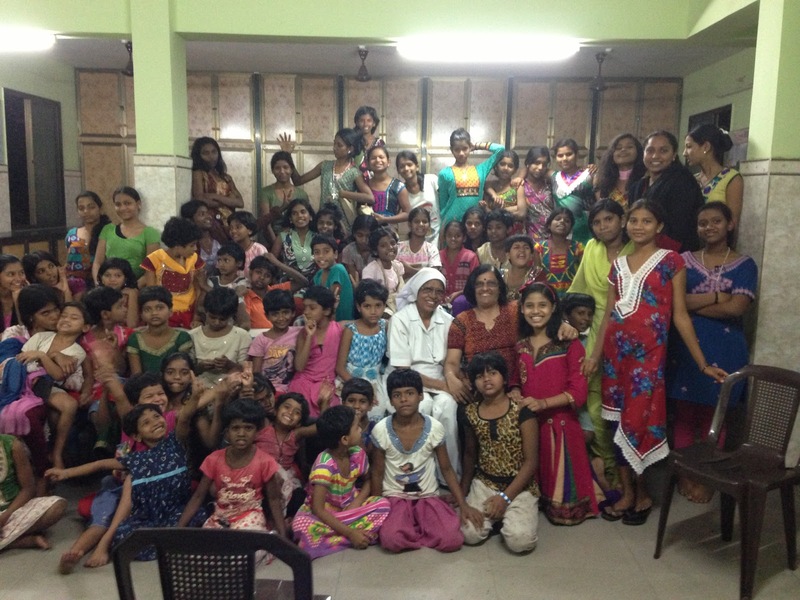 IDF partners with Sarthak Manav Kushthashram. Anti-Leprosy week starts from the martyrdom day of Mahatma Gandhi to 5th February enabling various NGOs to give scientific information on leprosy to the masses and sensitizing the public on the disease, observed Dr. Narayan B. Iyer, CEO, IDF. 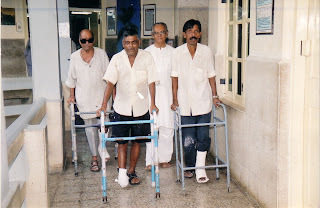 Indian Development Foundation (formerly Indian Leprosy Foundation) a leading national NGO working for health, education and rural development has its head office located in Goregaon West Mumbai. IDF has planned various activities nation-wide awareness programmes during this week. Awareness holds the key to lowering down the incidence of leprosy and students are best suited to spread awareness among the people, observed Dr. Iyer who along with his team will be visiting various educational institutions in the city to create awareness during this week. 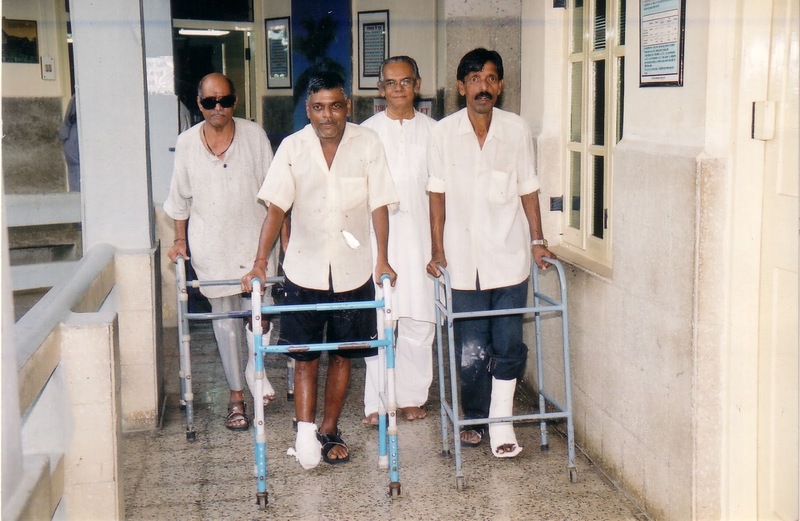 India had an estimated 40 lakhs of leprosy cases in 1982. With intensive work by the government, National and International NGOs and committed citizens groups, the number of leprosy cases dropped down to less than a lakh by 2005 and India declared "leprosy elimination" status endorsed by WHO. 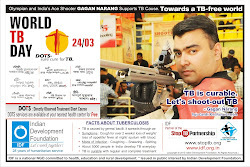 Social stigma continues to haunts the patients though a lot of awareness campaigns had been conducted, said Dr. A.R.K.Pillai, President of IDF. According to the figures from Ministry of Health, Govt. of India, India has a total of 0.83 lakh cases on record with a prevalence rate of 0.68 per 10,000 population. 530 districts out of the 640 districts in India have achieved leprosy elimination status. Chhattisgarh (1.69 per 10,000 population) and Dadra and Nagar Haveli (2.93 per 10,000) have the prevalence rate between 1 and 3 per 10,000, he added. IDF is committed to leprosy elimination work. Networking of NGOs for a common cause is the need of the hour and this will help for a greater humanitarian benefit, Dr. Pillai added. IDF team will be covering up government schools and other educational institutions during the week disseminating scientific information on leprosy. He said students' participation in leprosy elimination programmes needs to be written in the letters of gold. Leprosy is completely curable today. An air-borne disease caused by mycobacterium leprae, leprosy was a scourge of humanity and it carried a lot of misconceptions. Leprosy is a socio-medical problem. Leprosy is a disease with a high degree of stigma attached through centuries. This was mainly because of the fact that there was no cure for the disease till the eighties and also due to disfigurement caused by the disease. Though the number of leprosy cases has come down, the stigma still prevails. A lot need to be done with regard to rehabilitation of persons affected with leprosy, Dr. Pillai said. 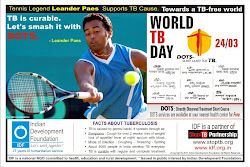 Indian Development Foundation and Coonoor Grace Charitable Trust organizes Anti-Leprosy Day Reachout Prog. at St. John's Centenary Hall, 30th of Janauary, 2013, Coonoor. The programme started with a Prayer song by the Students of Mr. Bullmore’s Mat. School, Coonoor and Rev. Arulraj, St. John’s Church said the invocation prayer. Dr. K. Srinivasan Pothi, Medical Officer- Family Planning Association India, Coonoor was the Chief Guest on the occasion, he congratulated IDF and CGCT for their wonderful work. Rev. Fr. Ravi Lawerence, St. Joseph’s Church, Alwarpet, Coonoor, saluted IDF for their humanitarian service and also pointed out how Leprosy people were treated as per the Bible. Mr. G. Sunder Raj, FPAI, Coonoor, spoke on the occasion and told about their work and thanked IDF and CGCT for their voluntary services. Mr. J. Regin Kumar, ICTC Counselor, Govt. Lawley hospital, Coonoor also addressed the gathered people about the disease and appreciated the wonderful work of IDF and CGCT. Gifts were distributed by the guests among the patients. Mr. D. Mano Ranjit Lad of IDF welcomed the gathering and said about IDF’s vision and mission. Mr. C. Gibson of Coonoor Charitable Trust proposed the vote of thanks. Mrs. Josephine Pamele of Bullmore’s Mat. School, Coonoor conveyed the programme. Mr. Mohanraj was also present. Mr. Kannan David, Mrs. Ruby, Mrs. Devika, Mrs. Rani sponsored towels, Mr. Ashok of Prakash studio sponsored sweets, tumblers by Self help group Gandhipuram, Coonoor, steel bowls by Mr. Gibson, Mrs. Bhuvaneswari Packianathan sponsored lunch and banana. Inauguration of Ramana Bal Gurukul, Chennai. Indian Development Foundation in association with Good Life Centre inaugurated Ramana Bal Gurukul on 30th January 2013 in West Tambaram. Mr. A. Asokan, Managing Director, V. C. A. 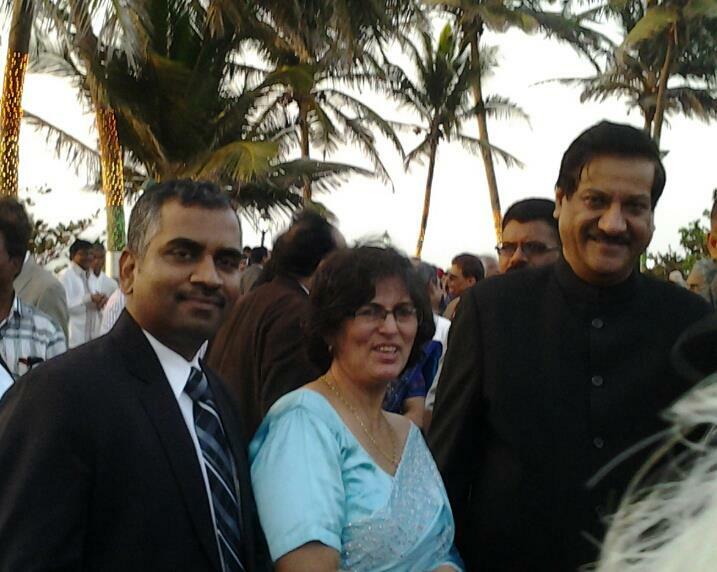 Minerals & Metals PVT Ltd was the Chief Guest for the function. He appreciated IDF and Good Life Centre for the wonderful initiatives like Ramana Bal Gurukul for the benefits of the underprivileged children. He requested the students to avail the opportunity and make up in life. He also offered his continued support for centre. 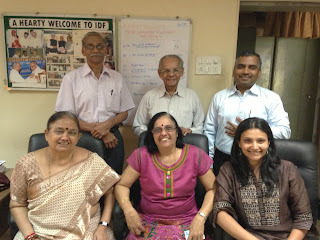 IDF Social Ambassadors Mrs. Rajammal, Mrs. Padma and Mrs. Kamakshi spoke to the students and inspired them. 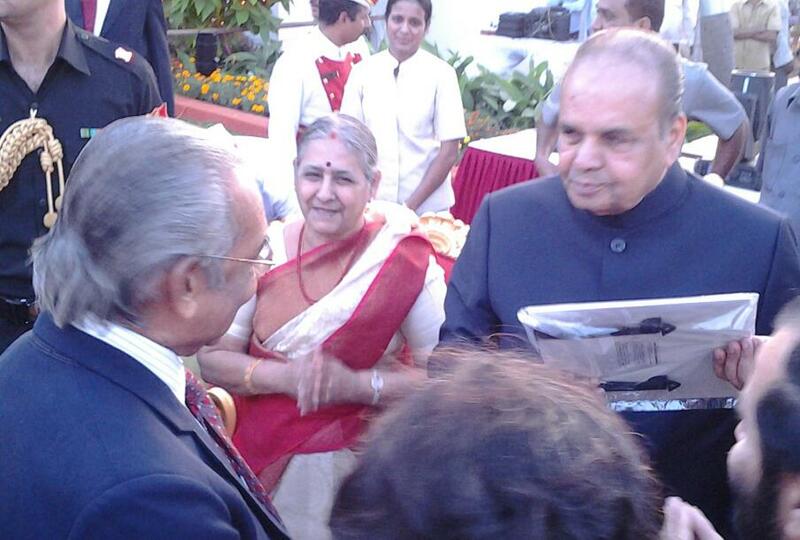 Mrs. Rajammal Welcomed the guests.Mrs. Padma, Mrs. Kamakshi and Mr. Sreeram, Coordinator spoke during the function. Mr. K. Baskaran of Good Life Centre proposed a vote of thanks. IDF in association with Gremaltes Hospital, Chennai Organized a Health Awareness Progamme at Villivakkam Railway Station, Chennai on the eve of world anti-leprosy day. Our special thanks to the Southern Railway Authorities for the kind permission to organize the Health Awareness Programme. Lt. Gen. Ajai Barnabas Masih (Retd), UYSM was invited by Jamnabai Narsee School in Mumbai to address their teachers on "Challenges to Career in the Contemporary Environment". Lt. Gen. Ajai Masih empowered the teachers with his life experience and highlighted on the role of teachers in carving out a new society. While he complimented the teachers for handling students with great care and attention, Lt. Gen. Masih also touched upon adding time management along with life skills beyond academics. Ms. Josephine Vas, Head - IGCSE/ IBDP, Jamnabai Narsee School expressed her sincere thanks to Lt. Gen. Ajai Masih and team IDF - Dr. ARK Pillai and Dr.Narayan Iyer for arranging such a meaningful programme. The talk was arranged on 29-01-2013. Indian Development Foundation conducted a leprosy awareness programme at Kendriya Vidyalaya Sangathan, Thirumangalam, Chennai on 28/01/2013. Dr. Thirunavukkarasu, Chief Medical Officer, GREMALTES Hospital, Mr. Sreenivasalu, Health Education Officer, GREMALTES Hospital, Mr. Sreeram and Mr. Sathyamurthy from IDF participated in the programme. 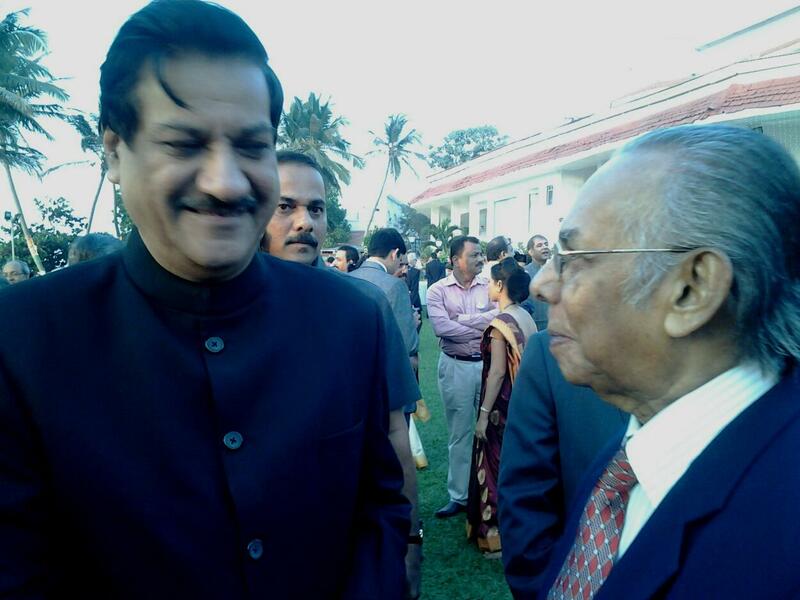 Republic Day reception at the Raj Bhavan hosted by His Excellency Shri Sankaranarayanan, Governor of Maharashtra. It was a matter of great joy to meet celebrities drawn from top civil, defence, police, administrative, professional, business, clergy, social fields, exchanging greetings and pleasantries. HE Governor, accompanied by his wife met all those present. Mr. Sanjay Ram, Project Co-ordinator at IDF Hyderabad responded to the social call from Kust Niwaran Society for the need for woolen clothes for the poor and needy children in Bihar. Student from Bharatiya Vidya Bhavan's Sri Ramakrishna Vidyalaya, Sainikpuri under the leadership of Smt. 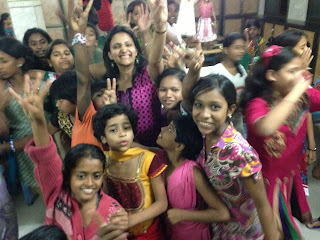 B. Jyothi Aparna, Principal and Smt. 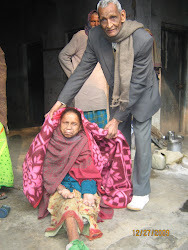 Aarti Tiwari, Vice-Principal mobilized warm clothes and dispatched it to Mr. Thomas, Hon. Secretary, Kust Niwaran Society, Patna. 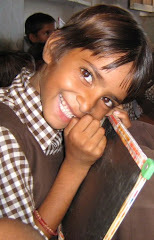 The same have been distributed to children in various colonies in Bihar. IDF Social Ambassador Mr. Thomas along with his son Mr. Anil Thomas; team from Kust Niwaran Society visited the Paswan Tola Ara, Bhojpur District, Bihar and distributed blankets; woolen clothes among the children and needy people. IDF team is seen with the smiling children and the needy people. IDF thank all the supporters and friends for the timely help. All for the sake of warmth!!! IDF Ambassadors at Vimala Child Care Center. Social Ambassadors Mrs.Aruna Desai, Mrs. Rama Murlikrishnan and her daughter Ms.Malini visited Vimala Child Care Centre on Republic day and expressed their happiness to be there with the children.All of them were very happy as the children were full of affection and enthusiasm. The ambassadors expressed their happiness and said, " I think we had a lot more to take away from them than they did from us". Ms. Malini will be rendering support to IDF USA and help sustainable projects in India. IDF is committed to spread smiles on million lives!!! India is a land of great diversity. The people of different religions, diverse cultures and distinct languages co-exist in harmony. 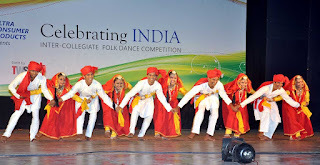 With a view to showcasing the diversity of cultures, Celebrating India held an Inter-collegiate folk dance competition on Republic Day – January 26, 2013 at the Ravindra Natya Mandir, Prabhadevi, Mumbai. Teams from seven colleges in and around Mumbai participated. The spectacular show saw folk dances from Sikkim, Himachal Pradesh, Uttrakhand, Chattisgarh, Bihar, Manipur and Maharashtra. The two hours programme was judged by a panel of 4 eminent judges who had a tough time choosing the winners. 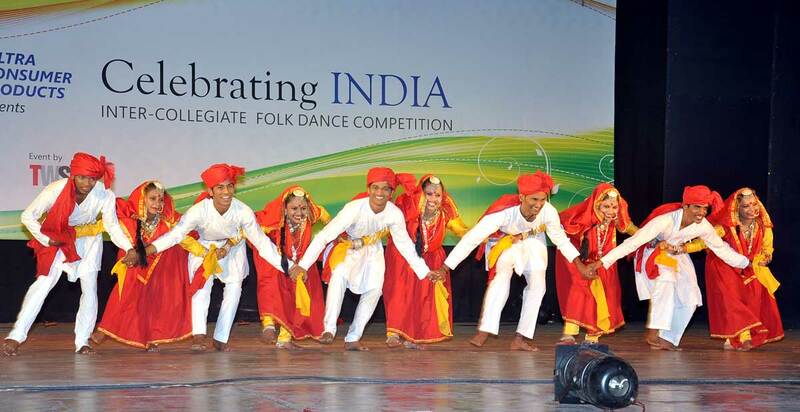 The colours, rhythm, the musical instruments, the intricate steps and formations and the high energy of the participants ensured it was a well-fought competition. Dr. Pillai was the chief guest at the function. Speaking at the occasion, Dr. Pillai said he has seen many performances abroad but nothing as spectacular as what he has just witnessed. He lauded the efforts of the sponsors – Ultra Consumer Products and Mr. Nikhil Agarwal, the CEO of the company. 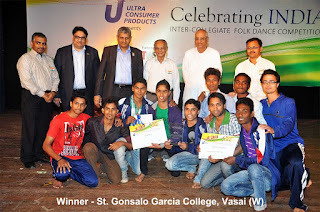 Celebrate India has been promoted by Ultracel Consumer Products since its inception in 2010. The event is held on January 26 and August 15 every year, and this was the sixth edition. IDF celebrates New Year in GREMALTES Hospital.